A view from Beinn an Oir on Jura, looking across the Sound of Islay to Loch Ardnahoe. 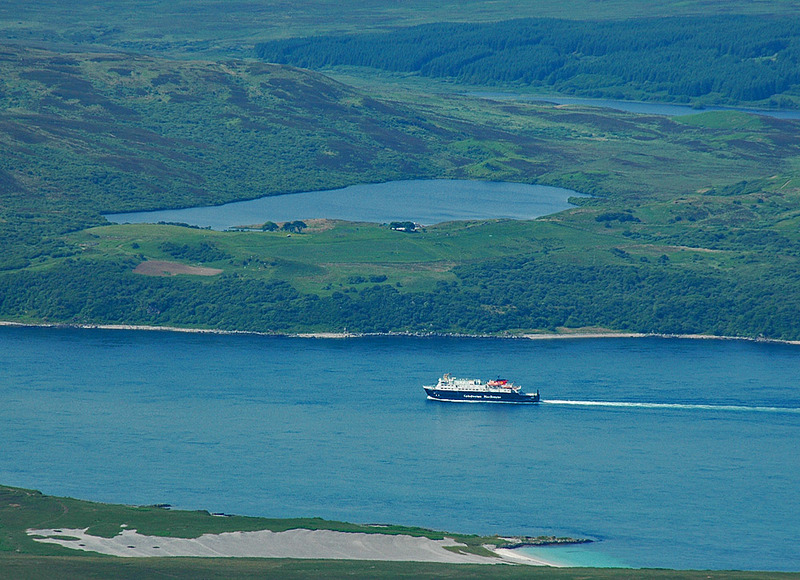 A Calmac ferry is travelling south through the sound. Loch Staoisha also visible in the distance. This entry was posted in Freshwater Loch, Jura Excursion, Landscape, Repost, Sunny Weather and tagged Beinn an Oir, ferry, Islay, Jura, Loch Ardnahoe, Loch Staoisha, Paps of Jura by Armin Grewe. Bookmark the permalink.